Special bin.din.g, 8.5 x 11 in. / 92 pgs / illustrated throughout. Edited by Mircea Cantor, Cirpian Muresan and Gabriela Vanga. Essays by Didier Heintz, Sumiko Oe Gotini and Molly Gordon Nesbitt. Version began as an artist's group under the name Super Us, and has become an adventurous magazine. 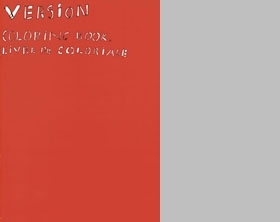 In this special issue, the 70 artists invited to create black-and-white coloring book pages comply with verve. Their goal is to "unteach," to offer a new view of the world, at once clean-lined and non-linear. In the process they strip their own work to its elements and, perhaps most importantly, provide a way for both children and adults to step into the artistic process, to discover, complete, and collaborate with each artist, creating and inventing on their own along the way. 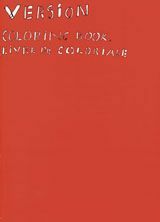 Includes coloring pages by Liam Gillick, Claude Closky and Lawrence Weiner. For children of all ages. FORMAT: Special bin.din.g, 8.5 x 11 in. / 92 pgs / illustrated throughout.